Most people experience some form of back pain in their lifetime. The pain can range from being slight to being fully debilitating. If you live in or near Fairfield or Cincinnati and are living with back pain, we can help. Whether your back pain is slight or severe, acute or chronic, chiropractic care can help you experience lasting back health! Disc bulges and herniation occur when the outer edges of the discs are damaged. When this happens, the center jelly-like substance bulges, or is pushed out. Interestingly, pain can but does not always occur when a disc bulges. For people who do experience pain from a disc injury, the severity depends on the type and position of the herniation. If the injured disc is irritating a nerve, the pain and weakness in the legs is often severe. It is important that these issues be identified and treated promptly to avoid further damage and/or complications. Dr. Rob Cartwright in Fairfield can assess your situation, plan appropriate treatment, prevent the advancement of the condition, and provide relief from the pain. Subluxation is a misalignment in the spinal column. Pain in your back is often caused by subluxations or misalignments in your vertebral column. There are many causes including trauma, stress, and toxins. A small misalignment can cause pain because of pressure on a nerve. Left untreated, the subluxations can lead to muscle spasms and more severe pain. Chiropractic adjustments align your spine so pressure on joints and nerves is released. Receiving chiropractic care provides a direct treatment for the cause of the pain and does not simply provide temporary relief as pain relievers or massage can do. 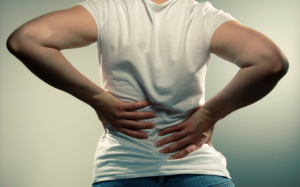 If you are experiencing back pain, call our office today to schedule an appointment with Dr. Rob Cartwright in Fairfield. Sprains and Strains occur when we are involved in an activity or event that our bodies are not accustomed to. This can happen when participating in regular activities, such as lifting while twisting or stretching beyond one’s limit, or when involved in an accident. There can be extreme pain along with swelling and bruising of the area. Sprains and strains of the spine often involve a misalignment of the spine. Chiropractic care does help to provide relief and healing from these injuries.